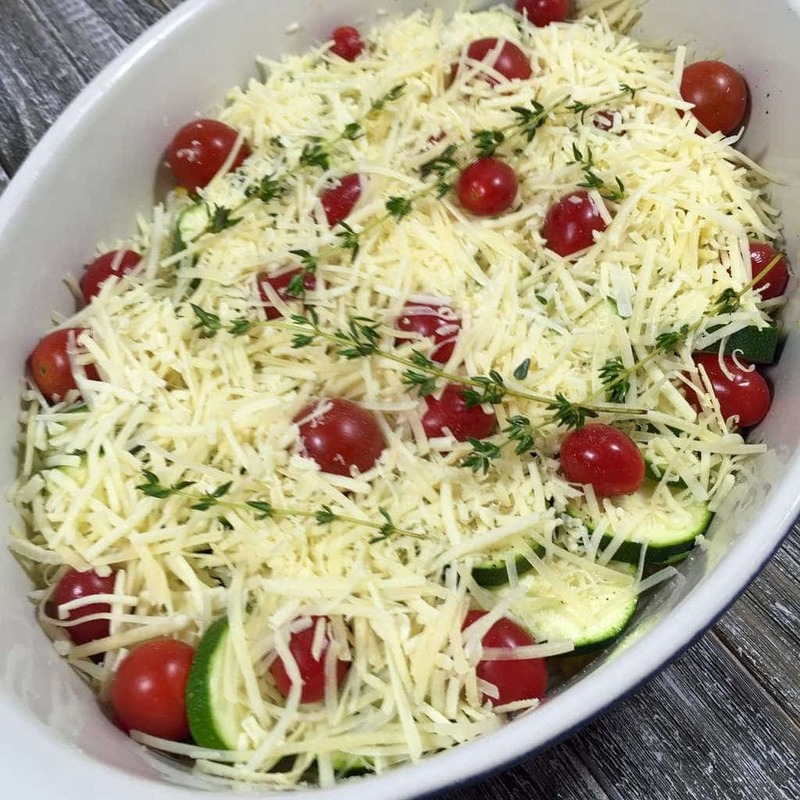 This Vegetable Tian with Zucchini and Roasted Corn is bursting with zucchini, roasted corn, fresh tomatoes and underneath it all lies caramelized onions. 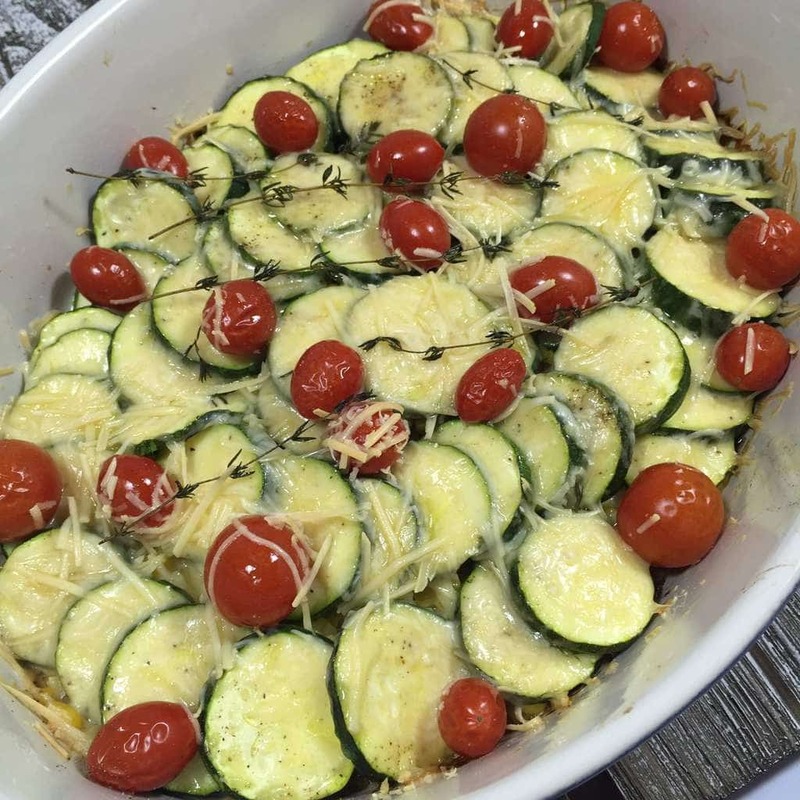 Vegetable Tian with Zucchini and Roasted Corn is really a take off of Ina Garten’s Vegetable Tian. She uses fewer vegetables than I do, but the method of making the tian is the same. I first started making tians years ago after watching Ina prepare one perfectly. 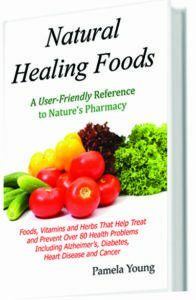 She used yellow and green squash, onions, tomatoes and potatoes. A true meal from Provence. In fact that’s really where tians originated and the name of the earthenware dish it was made in, the tian, also became the name of the dish itself. I was fascinated with the symmetry of the tian as the vegetables were carefully laid out in a spiral form and I knew Tians were going to be staple in my kitchen from then on. In France you can find vegetable tians, like Ina’s, but you can also find them made with lamb, fish or eggs added to the vegetables. To me, though, this is such a great vegetarian dish that I prefer to leave well enough alone. The one thing that all tians have in common is the gratin topping. This could include breadcrumbs and butter. But I’ve always done mine with just cheese. Yep, I’m a cheese lover. And although you really could use almost any cheese, nothing beats Gruyere over vegetables. It’s creamy and rich and melts beautifully. So let’s make a Tian. So for this tian I decided, in honor of summer, I would also add fresh corn. Corn on the cob is everywhere right now, and it’s at its absolute sweetest. Perfect as-is cooked lightly, but even better when it’s roasted. So after shucking my corn, I set up my Griddler. It’s so easy just to pull out and plug in. 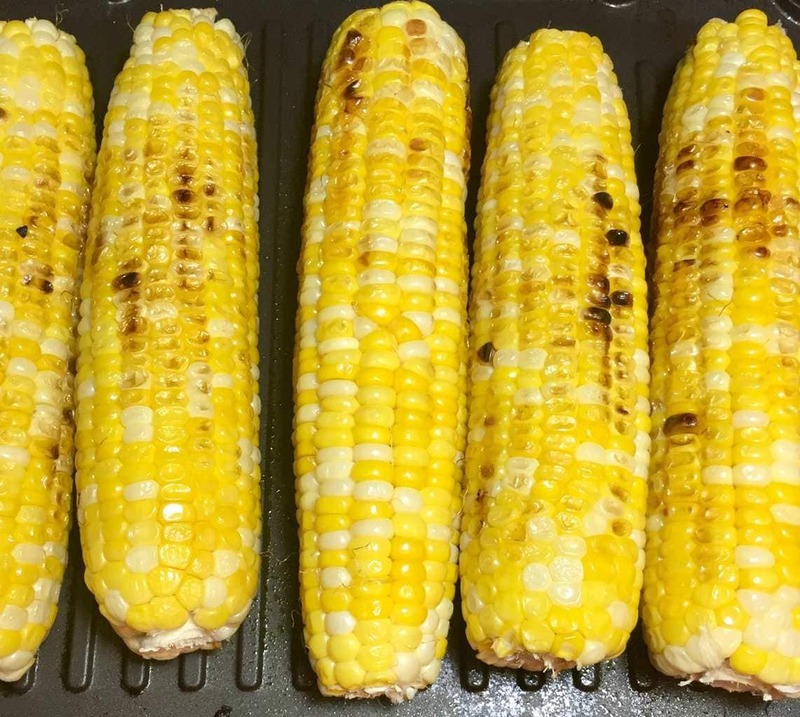 I turned it to the Grill setting and let my corn slowly roast for about 20 minutes, turning it occasionally until each side was lightly browned and tender. If you don’t have a Griddler, no worries. You can also roast corn in the oven, although it will take almost twice as long. While the corn was roasting, I had time to sauté the onions until they were caramelized and added them to my ovenproof dish. Don’t rush the caramelizing process. It takes about 5-6 minutes, but it adds a great depth of flavor. Then I sliced the zucchini and set it aside until the corn was done. When the corn was nicely roasted, I cut it off the cob and sprinkled it over the onions. Then I layered the zucchini over the corn, and added the cherry tomatoes. By the way, cherry tomatoes, at their freshest, almost taste like candy because of their sweetness. Definitely a nice compliment to the zucchini. And finally I sprinkled grated Gruyere cheese over the zucchini and tomatoes and baked it in the oven until it was browned. We love tians and I think when you make one, you will too. 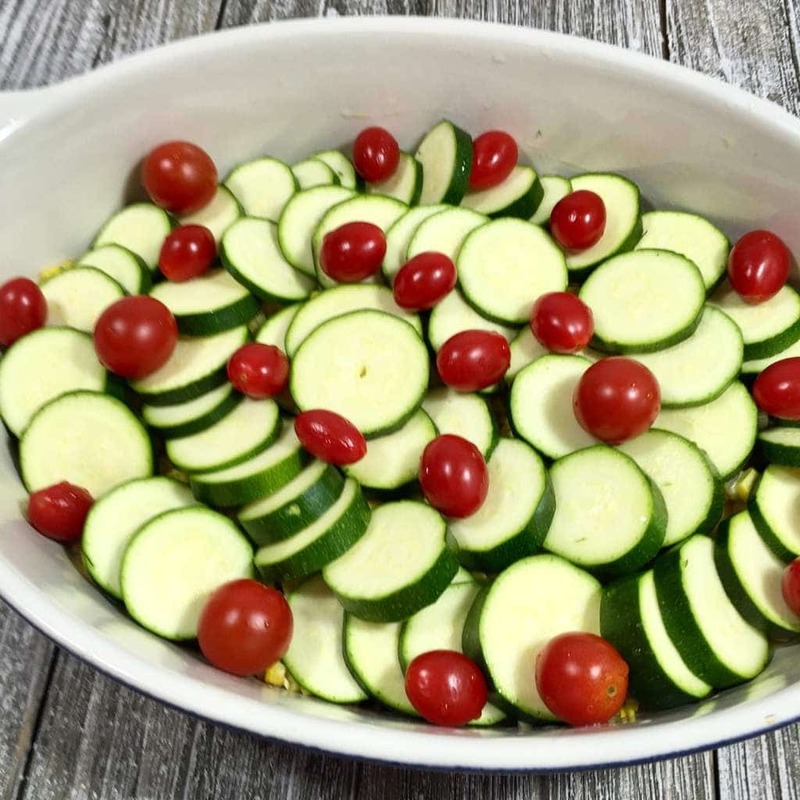 This Vegetable Tian with Zucchini and Roasted Corn is really super easy and the flavor is fantastic. 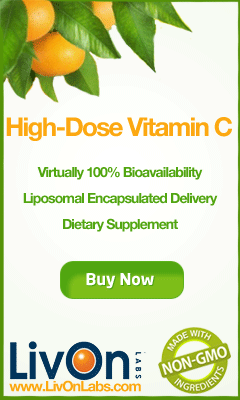 And if you’re into Healthy Recipes, this delicious dish is only 162 calories per serving! Welcome to the flavors of summer! This Vegetable Tian with Roasted Corn is bursting with zucchini, roasted corn, fresh tomatoes and underneath it all lies caramelized onions. Preheat Griddler to Grill setting. Butter corn and grill corn, turning every 7-8 minutes on each side, for a total grilling time of approximately 30 minutes. While corn is grilling, add oil to saute pan over medium high heat. 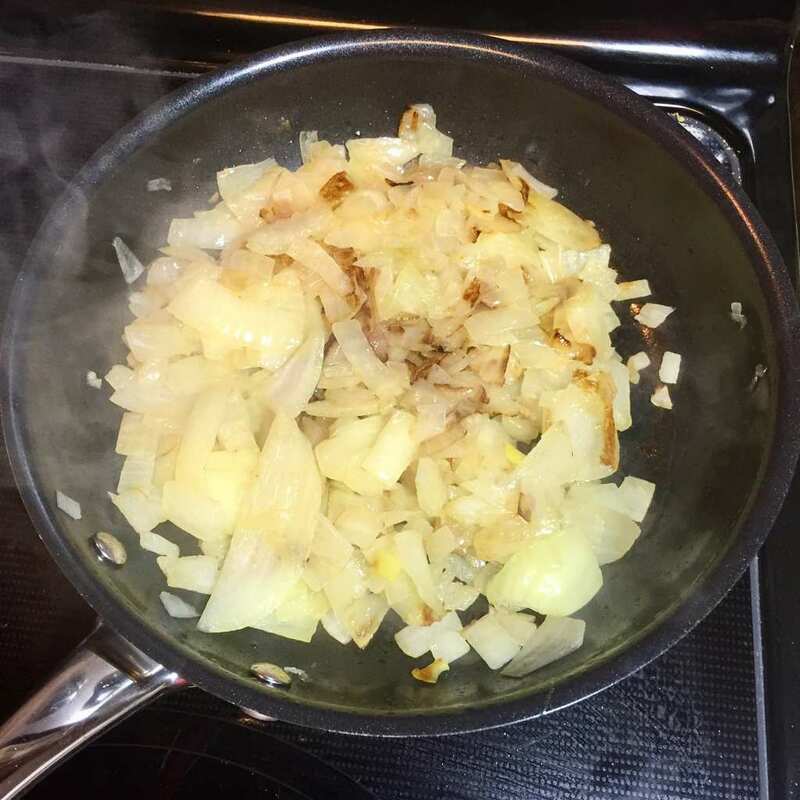 Add diced onions and allow to caramelize stirring often about 5-7 minutes. Add onions to large oven proof dish. 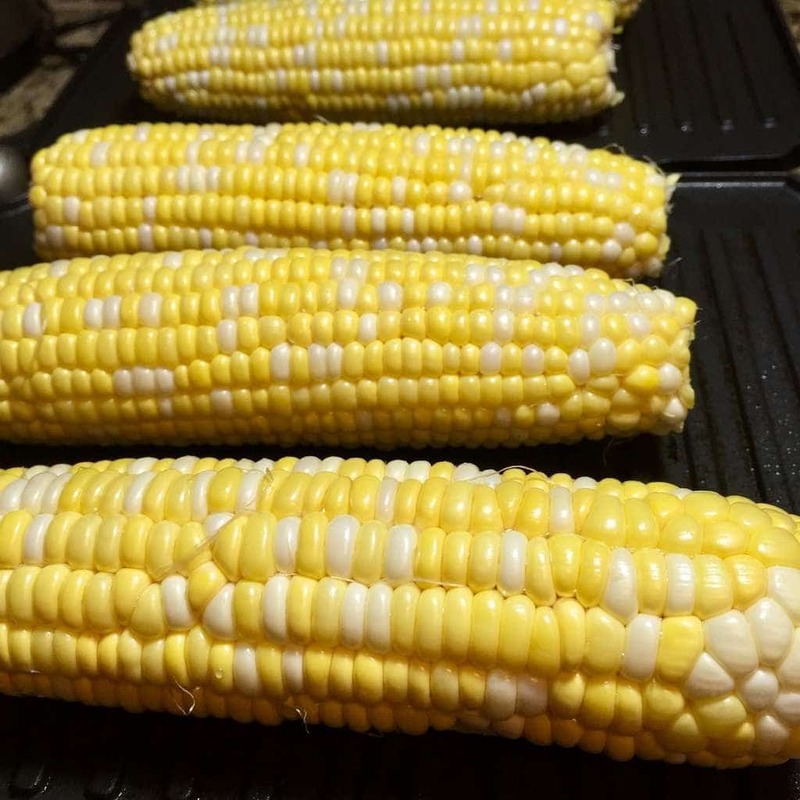 When corn is grilled allow to cool and cut grilled corn off cobs. 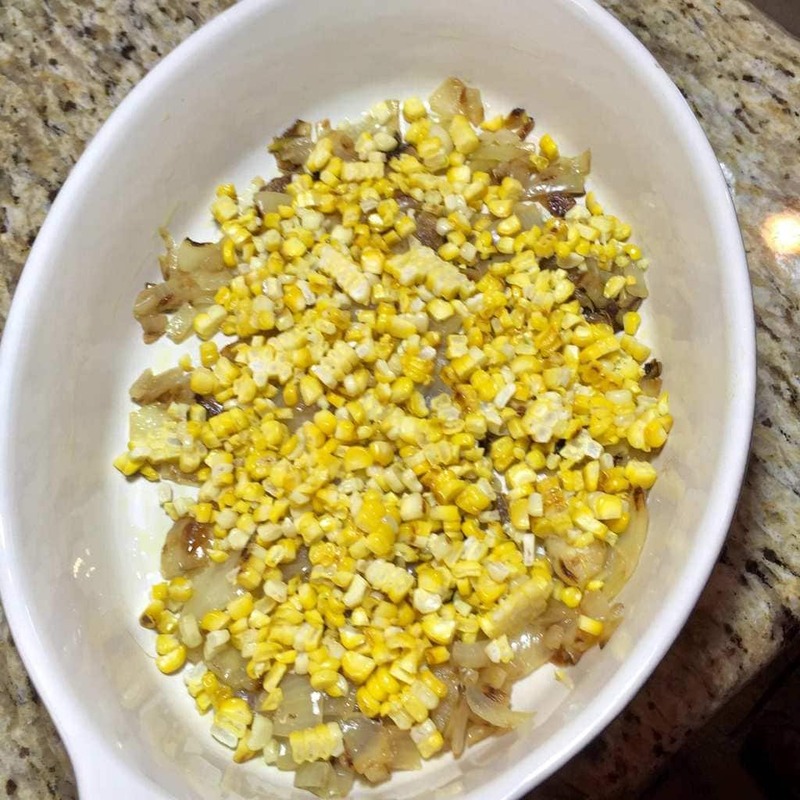 Top onions with corn and spread evenly in dish. Sprinkle salt, pepper and thyme leaves over the top. Layer cut zucchini over the top of the corn and onion mixture. Add tomatoes randomly over the zucchini. 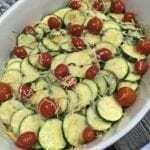 Sprinkle grated gruyere over top of the zucchini and tomatoes and add thyme sprigs randomly on top. Bake 40-45 minutes until browned and zucchini is tender.